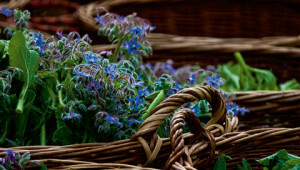 Wilted herbs cannot be used to make a tasty soup or premium natural cosmetics. We are therefore rather meticulous when selecting our raw materials. 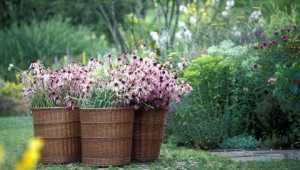 They grow in biodynamic quality in our own medicinal herb garden or on our Demeter farm. Often, they are harvested in the early hours of the morning so that they retain their full natural strengths. What we do not cultivate ourselves, comes in part from wild collections in the Swabian Jura Mountains and in part from organic cultivation projects worldwide. Alternatively, from partners who work as fairly and sustainably as we do. When harvesting medicinal plants for Dr. Hauschka Skin Care, there is no place we prefer to do than in our medicinal herb garden. This is located directly behind our oldest company building in Eckwälden, an agricultural town in southern Germany at the foot of the Swabian Jura Mountains. 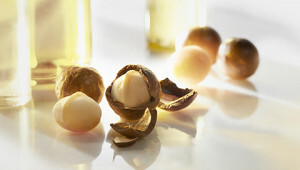 In creating the formulations for Dr. Hauschka Skin Care products, we draw on the many things that nature has to offer. For example, medicinal plants, botanical oils and waxes and genuine essential oils – naturally of organic quality wherever possible. From acerola to malachite to lemon: Here is a list of all the ingredients in Dr. Hauschka cosmetics, classified by product. In our virtual garden, you can learn more about the medicinal plants in our cosmetic products, their special features and what stories have grown up around them.